What an incredible thought! We are dearly loved as God's chosen and holy children. 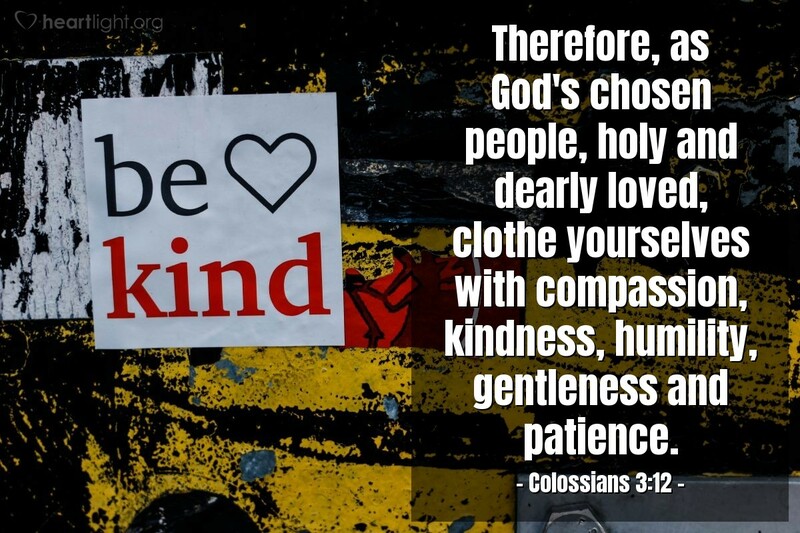 No wonder God calls us to a lifestyle of compassion, kindness, humility, gentleness, and patience! Think of how often our Father needs to use these qualities with us! How can we not share with others what God so abundantly shares with us? Father in heaven, thank you for valuing me so highly. While I know some of the ways I fall short of what you want me to be, and many reasons why you might not want to choose me as your beloved and holy child, I thank you that you love me so richly and value me so highly! Please work powerfully in me through your Holy Spirit to make me more like you, not for my glory, but for yours. In Jesus' name I pray. Amen.